If you have made the decision to replace your property’s roof with a new Orlando roofing material, you may be taking a closer look today at some of the options available to you. Premier Roofing, Inc. specializes in providing high-quality roof services for both residential and commercial properties, and we offer a wide range of Orlando roofing materials for you to choose from. With a closer look at some of the options available, you may find the right material for your property. 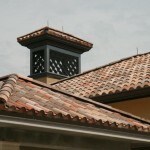 A clay tile roof is one type of Orlando roofing material available to you through Premier Roofing, Inc. These clay tiles are suitable for both residential and commercial properties, and there are multiple color options available. This is a decorative type of roof that may look fabulous with home’s made out of stucco, stone or other types of exterior materials. Because there are numerous tile styles available to choose from, those who are interested in enjoying this material on their property should contact a representative for more information. Another option for your Orlando roofing material is a standing metal seam roof. This can also be a decorative material to use, and it is known for being affordable, durable and stylish. As with clay roofs, this type of material available to you through Premier Roofing, Inc. is also available in different colors and styles, providing you with the ability to create the desired curb appeal for your property. 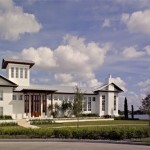 You can also consider installing concrete Orlando roofing on your home. This can be a heavy material to work with, so the property’s structure should be able to support the weight. However, it is available in numerous styles and colors, has great energy efficiency benefits and is affordable. Whether you have the desire to install these or other types of Orlando roofing materials for your home or commercial building, you should contact a representative at Premier Roofing, Inc. for more information. Through an initial consultation, you can learn more about the different styles available and obtain an estimate for the installation. Contact the company today to set up your appointment.